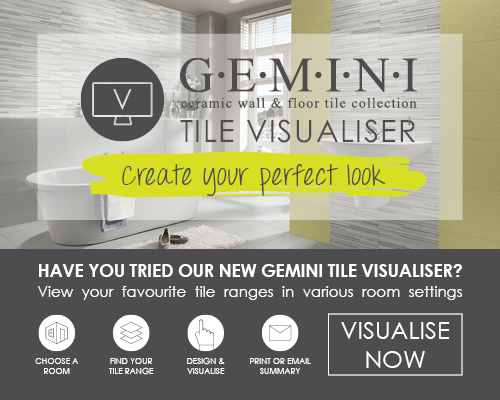 Studio is a luxury glazed Ceramic tile from Gemini Tiles which is suitable for walls in both Bathrooms and Kitchens. 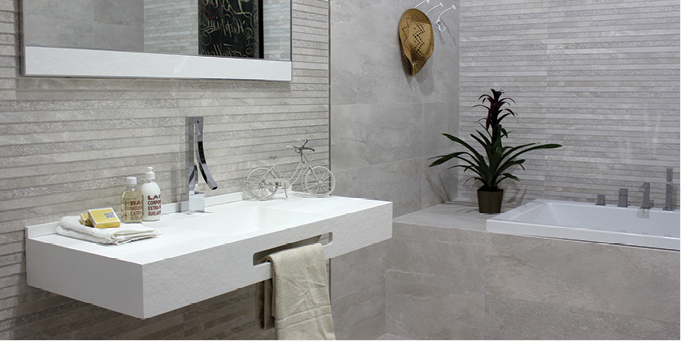 Create a tranquil environment with the neutral tones of Nature, can be used in bathroom, kitchen, and living areas and also comes in a grey colour alongside mosaics for a feature. Frame is a luxury Glazed Ceramic tile with twelve individual patterns fitting neatly onto one larger tile, Gemini Tiles gives you a seemingly sporadic yet perfectly complementary tile scheme for the home.